Java Server Pages (JSP) is called as a server-side programming technology which is used for creating dynamic, platform-independent method for building Web-based applications. 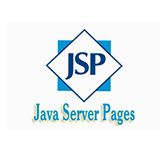 JSP tutorial provides understanding of how to use Java Server Pages to develop your web application. This tutorial is targeted for the beginners to understand basic functionality of Java Server Pages (JSP) to develop your web applications. To learn this tutorial one must have basic knowledge of web applications work over HTTP, web server and what is web browsers.